In this truly suggestive VIS image, taken by the NASA - Mars Odyssey Orbiter on March, 25th, 2016, and during its 63.349th orbit around the Red Planet, we can see - once again - a small portion of the Martian Region known as Olympia Undae. As a matter of fact, Olympia Undae is the largest Dunefield located at the Margin of the North Polar Cap of Mars. 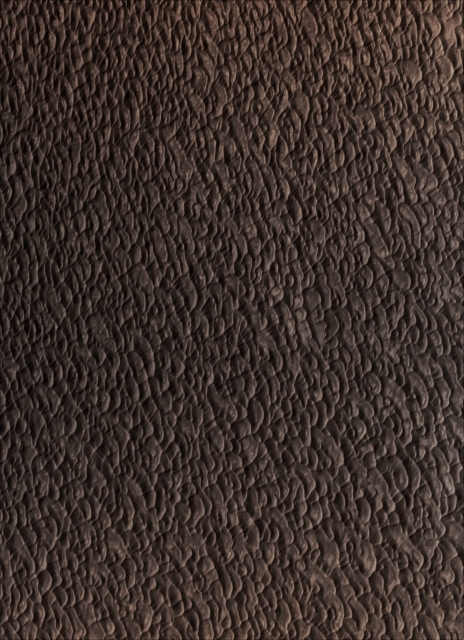 This fantastic frame was collected by the NASA - Mars Odyssey Orbiter during the Northern Hemisphere's Summer, and therefore, all the Dunes visible here, are Ice and Frost free. This image (which is a crop obtained from an Original Mars Odyssey Orbiter b/w and Map Projected frame published on the NASA - Planetary Photojournal with the ID n. PIA 20623) has been additionally processed, magnified to aid the visibility of the details, extra-contrast enhanced and sharpened, Gamma corrected and then colorized in Absolute Natural Colors (such as the colors that a normal human eye would actually perceive if someone were onboard the NASA - Mars Odyssey Orbiter and then looked down, towards the Surface of Mars), by using an original technique created - and, in time, dramatically improved - by the Lunar Explorer Italia Team.